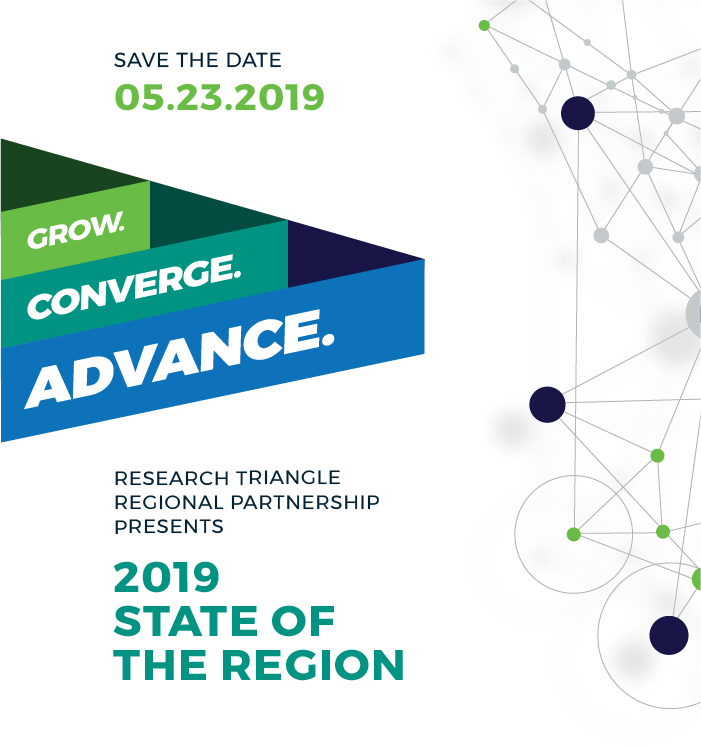 Join us for the State of the Region! It is that time again to come together and celebrate the accomplishments over the past year and discuss global initiatives the RTRP is undertaking to strengthen our region's brand. This year, we will focus our attention on the burgeoning Agtech Cluster that will propel North Carolina's $87 billion dollar agriculture industry to new heights. We hope you will join us on May 23rd and learn how everyone can help grow, converge and advance our region.